Sarojini Naidu was 70 years	& 16 days old age. 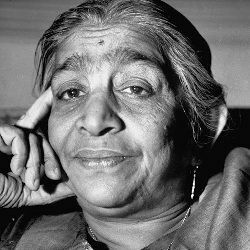 Sarojini Naidu was born on 13th February 1879 in Hyderabad, Hyderabad State, British India. 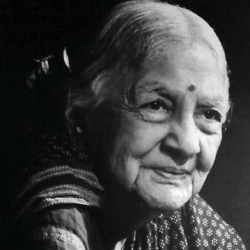 She was an Indian Poet, Activist, Writer, Author, Politician, Governor & Freedom Fighter. Sarojini Naidu was an Indian poetess and a Freedom Fighter. She became the 1st woman to become the president of Indian National Congress and also the Governor of the state of Uttar Pradesh. She was fondly called the Nightingale of India. She actively participated in freedom struggle movements and on one such instance she joined Mahatma Gandhi in the famous Dandi March. She participated in Indian Independence Movement in 1905 and collaborated with Muhammed Ali Jinnah, Gopal Krishna Gokhale, Annie Besant, Gandhi, Tagore, C.P. Ramaswami, and Nehru. She traveled all over the country and delivered lectures on Women’s Emancipation, Labour and Indian Freedom. She bravely fought at Champaran for the cause of Indigo workers. The biggest highlight of her career came when she became the maiden woman president of the political front INC (Indian National Congress) in the year 1925. She traveled to England as Home Rule League Ambassador in 1919. She traveled to New York in 1928 for the cause of a salvation of Amerindians. In her quest for freedom, she was jailed twice, the first time in 1930 for 9 months and for the second time in 1942 for 21 months for taking part in Quit India Movement. She also took part in the famous Round Table Summit along with Pundit Malaviyaji and Mahatma Gandhiji. After Independent India, she held the post of Governor of the State of Uttar Pradesh. Apart from politics, she is also a well-known poetess. She started writing from the age of twelve and some of her famous poems are "The Indian Fantasy", "The Feather of The Dawn", "The Snake-Charmer" and "To the God of Pain" amongst others. Sarojini Naidu died on 2nd March 1949 in Lucknow in the state of Uttar Pradesh, India. She died of a heart attack at the age of 70, while she was working in her office in Lucknow. She was born to a doctor Aghornath Chattopadhyaya and a poet Barada Sundari Devi. She had eight siblings including Virendranath Chattopadhyaya (Indian Revolutionary) & Harindranath Chattopadhyaya (Indian Poet, Dramatist). She was married to Muthyala Govindarajulu Naidu in 1898 and together they had five children. Three sons named Jayasurya Naidu, Nilawar Naidu and Randheer Naidu and two daughters named Padmaja Naidu and Leelamani Naidu. Her daughter Padmaja also was a Politician & Freedom Fighter. 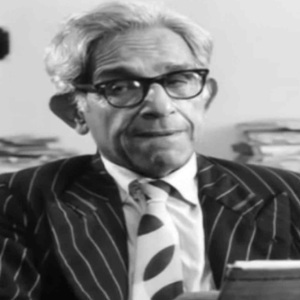 Theatre actress, freedom fighter Kamaladevi Chattopadhyay was her sister-in-law. Her hometown Bikrampur today lies in Bangladesh. Nizam of Hyderabad awarded her scholarship at the young age of 16. Besides being the first president of INC, she was also the first Indian woman to hold the prestigious post of Governor after she was chosen as the governor of United Provinces of Agra. She was commemorated by various educational institutions in India. She has been commemorated by Indian post as well.